This tool allows you to declare some shared directories to be accessible to all users on the machine. 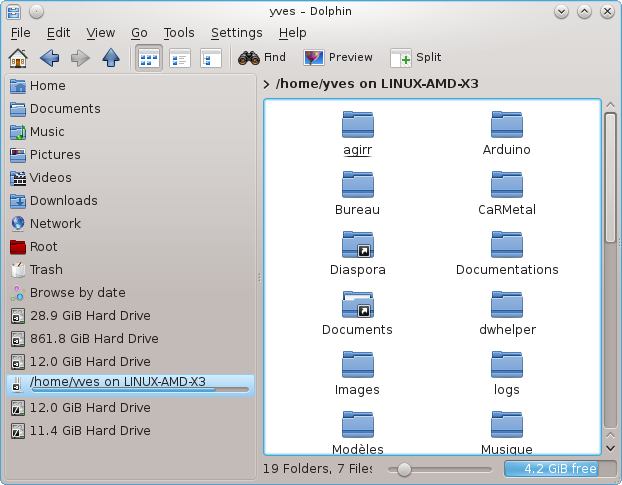 The protocol used for this is NFS which is available on most Linux or Unix systems. The shared directory will be thus available directly at boot. Shared directories can be also accessible directly in a single session for a user with tools such as file browsers. Select search servers to obtain a list of servers which share directories. Click on the > symbol before the server name to display the list of the shared directories and select the directory you want to access. 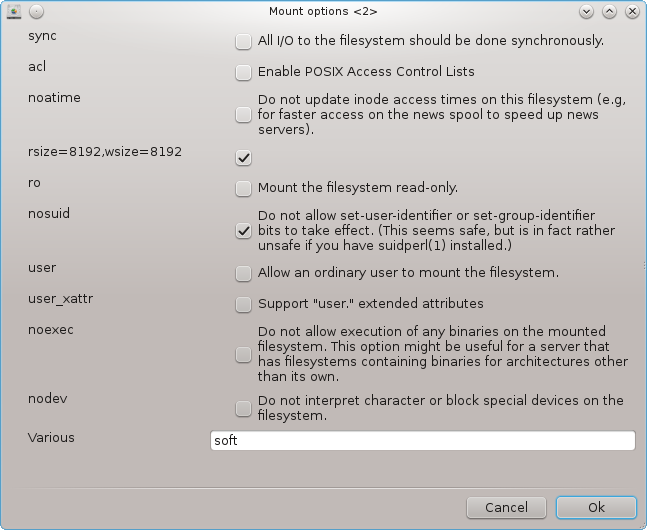 The button Mount point will be available and you have to specify where to mount the directory. After choosing the mount point, You can mount it. You can also verify and change some options with the Options button. After mounting the directory, you can unmount it with the same button. On accepting the configuration with the Done button, a message will displayed, asking "Do you want to save the /etc/fstab modifications". This will make the directory available at each boot, if the network is accessible. The new directory is then available in your file browser, for example in Dolphin. You can start this tool from the command line, by typing diskdrake --nfs as root.